We’re absolutely delighted to welcome Verve Portraits as a new sponsor of the Middle Park FC Junior program. And not only are Verve generously supporting our junior program, but there is also a heap of opportunity for you to get some great portraiture by them… and to make an awesome donation to the club at the same time. Basically, Verve are currently offering a $195 gift experience for just $99 to club members… and the best part all of that money will come back to the club! That’s 90 minutes of photos, another viewing session with drinks and canapés and your favourite image, absolutely for free, on a 7? arctic block. And all the money from that will come back to the club to support the junior program. To take them up on the offer just contact them through their website, call them on 1300 0 VERVE (83783) or email Sue direct at [email protected].  Welcome and thanks for supporting Middle Park FC Verve!